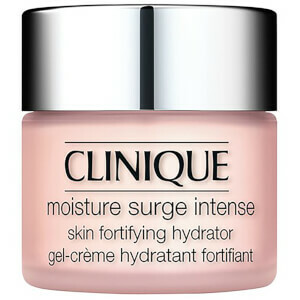 Achieve long-lasting radiance with Clinique Moisture Surge 72-Hour Auto Replenishing Hydrator, a deeply nourishing moisturiser which helps to support the skin’s natural source of hydration. Powered by Auto-Replenishing Technology, the face cream uses Caffeine to stimulate and strengthen the moisture barrier, while Hyaluronic Acid holds water in the skin cells for 72 hours. 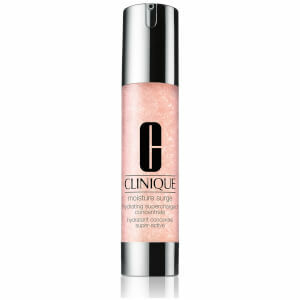 The gel formula leaves the complexion plump, healthy and infused with a natural glow. Free from fragrances and oils. Non-acnegenic. Usare tutti i giorni per un'idratazione immediata. Per una sferzata di metà giornata, picchiettare sul make-up. O usare come maschera da 5 minuti: massaggiare sulla pelle pulita ed eliminare l'eccesso con un fazzoletto.